Trailing 6-2 after the top of the seventh, Austin Peay (18-27) would chip away at the lead in its final three innings. Left fielder Ridge Smith’s solo home run in the seventh cut the deficit to three runs. 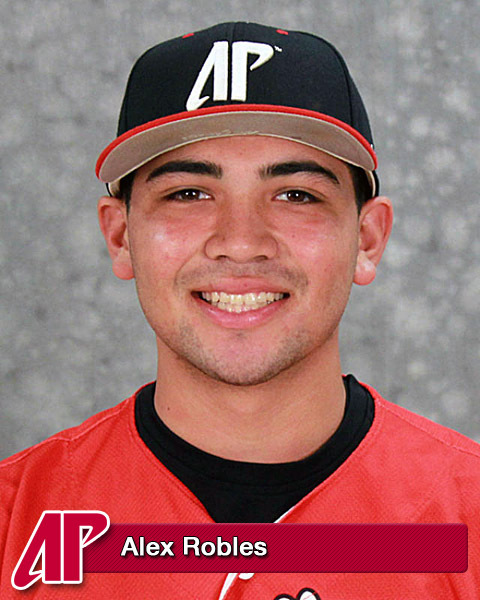 Austin Peay would close within a run with two runs in the eighth – one courtesy a Western Kentucky error and another on third baseman Alex Robles’ groundout. 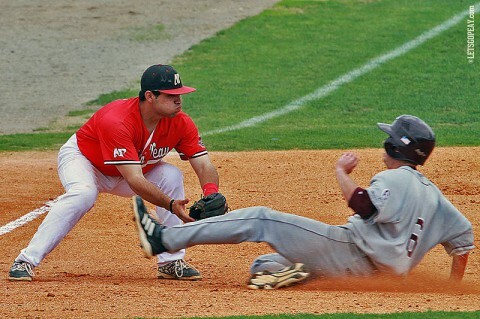 However, the Govs left the tying run at third in that eighth inning. Austin Peay had another chance to tie and even win the game in the ninth, placing runners on second and third after shortstop Logan Gray’s double with one out. After getting the inning’s second out, Western Kentucky intentionally walked second baseman Garrett Copeland to load the bases. Center fielder Cayce Bredlau battled to a full count but was called out on strikes out end the game. 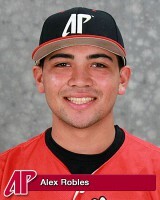 Austin Peay scored the game’s first runs when Robles hit a two-run double in the bottom of the first. However, the Govs did not score again until the seventh inning off Western Kentucky starter Ryan Thurston, who retired 13 of 14 batters during a stretch from the second through the sixth innings. Western Kentucky (24-21) responded to the Govs quick scoring burst with a five-run second inning. Second baseman Scott Wilcox delivered two runs with a hard hit single that second baseman Garrett Copeland could not corral. 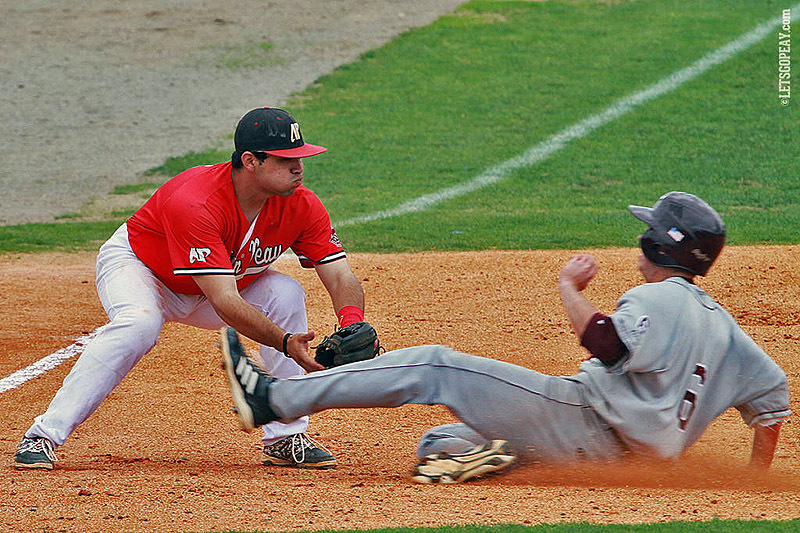 The Hilltoppers would not score again until the seventh when first baseman Ryan Church added the eventual game-winning run with a RBI double. Thurston (1-0) picked up his season’s first victory after holding the Govs to three runs on five hits while striking out six in seven innings. Closer Ian Tompkins shut the door in the eighth and then escaped the ninth to record his 12th save in a 1.1-inning outing. The Govs used 10 pitchers in the contest with reliever Jake Corum suffering the loss after allowing five runs while recording one out in the second. 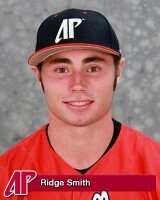 Gray paced the Govs eight-hit offensive attach with a 3-for-4 outing. Robles finished the night 1-for-4 with three RBI. Western Kentucky right fielder Regan Flaherty’s 3-for-5, one RBI night was part of a nine-hit offensive effort. Austin Peay begins a four-game road trip with a 6:00pm, Wednesday contest at Middle Tennessee. The Governors Sports Network will carry the radio broadcast with Brian Rives on the play-by-play. E – Wofford, C.(8); GLEASON, D. 2(5); SMITH, R.(11). LOB – WKU 6; APSU 6. 2B – Flaherty, R. 2(15); Church, R.(7); ROBLES, A. (9); GRAY, L.(12). HR – SMITH, R.(5). SH – Wilcox, S.(8). SB – Wilcox, S.(1); GAUTIER, R.(8). CS – GRAY, L.(4); GANICK, G.(1). Win – Thurston, R. (1-0). Loss – CORUM, J. (2-2). Save – Tompkins, I. (12). WP – Glasscock,T. (2); LANTIGUA, S.(2). PB – TORRES, P.(6).Inherited runners/scored: Pearson, B. 2/2; Tompkins, I. 1/0; HAGER, T. 2/2.Pitches/strikes: Thurston, R. 102/59; Glasscock,T. 13/7; Pearson, B. 7/5; Tompkins, I. 37/19; PRIMASING, L 16/12; CORUM, J. 22/11; HAGER, T. 16/9; WALTON, Z. 20/13; COREY, K. 29/21; HARMON, J. 20/11; POWELL, C. 20/14; LANTIGUA, S. 18/12; HAMILTON, C. 5/2; QUICK, R. 4/3.